HANGZHOU, China, Aug. 31, 2017 /PRNewswire/ — 8btc founder Chang Jia was recently interviewed by Tuoniao.fm (Q: Tuoniao.fm, A: Chang Jia). Q: As an early bitcoin adopter, why is the currency attractive to you? A: When I was an undergraduate, I was a science fiction fan and indulged in the cyberpunk world created by William Ford Gibson and Neal Stephenson. In Craft of Dragon Slaughtering, one of my computer novels, I told a story where the leading character lived in a world where power was dictated by one’s computing prowess. Bitcoin fits well in my vision for cloud and distributed computing. Q: The use of the currency is rooted in trust. Why do bitcoin adopters have trust in the currency? A: Mathematics. The unbreakable cryptography and strong computing power resources of Bitcoin prevent it from being overissued, replicated or forged. If the internet developed a norm enabling information to be replicated infinitely, then bitcoin creates a norm where information can never be replicated. Both are revolutionary. Just as printing changed the social power structure and weakened the power of the guilds in the Middle Ages, a cryptocurrency breaks the state banks’ monopoly on money. With the support of computing technology, bitcoin returns the world to what a currency was meant to be. Technologically, it is a vehicle that has a collective memory function without the need for the endorsement of a nation or the backing of a gold standard. Q: Some people believe bitcoin is simply a great experiment, but one that is bound to fail. What do you think? A: If a lottery is “tax levy” on those who are poor at math, then bitcoin is “tax levy” on those who are shortsighted. Q: Bitcoin still has flaws. In your opinion, what is its biggest flaw? A: People, of course. In terms of operation, users may lose their bitcoins due to the use of weak passwords, inappropriate choice of a brain wallet and badly managed backup. When it comes to data processing, greedy miners may prefer to handle transactions with higher commission fees, while ignoring those with no or low fees, resulting in a delay in trade confirmation. In terms of security, some crazed mining pools may try to use their hashrate to launch a 51% attack. However, at the end of the day, it is people that will determine the fate of bitcoin. Fortunately, bitcoin follows a simple yet democratic mechanism where the hashrate represents the voting rights and anyone can develop its applications, improve its code and expand its protocol. Q: As an excellent sci-fi writer, can you imagine a world where bitcoin is widely used? A: Once bitcoin is widely adopted, international merchants won’t need to wait several days for a bank wire to clear. Once completing bitcoin’s six confirmation steps, the international remittance will be received. Entrepreneurs can build a direct connection with shareholders and a dividend payment can be sent to the shareholder’s bitcoin address. In addition, shareholders can verify their identity with their bitcoin message signature, anytime and anywhere, protecting the interest of shareholders and their voting rights. Business partners can record terms and protocols on blockchain. In the event of a lawsuit, the court can verify the validity of the contract based on blockchain’s immutable coded information and timestamp. Wills, musical works, screenplays, academic papers and other copyrighted statements that need proof of existence can be maintained on blockchain. 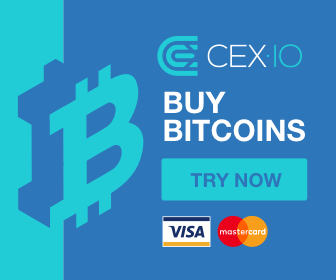 Even if you don’t want to use bitcoin as a means of exchange, you can use the bitcoin blockchain to transfer money and exchange bitcoins for US dollars and euros. Bitcoin is what TCP/IP to currency, on which innovations in finance and business will thrive. Since the beginning of 2017, the overall market value of digital currency globally has been growing. By April and May, the market value (the combined market value of the world’s top 100 virtual currencies in terms of trade value) surpassed US$100 billion. Following this latest surge in growth, what can we expect as the next trend for digital currencies worldwide? We are heading into an era of free money and free assets as Hayek predicted. We can imagine that if assets can flow freely across borders instead of being subject to the exchange of fiat money, investing in and trading assets will become as convenient as shopping online. Centralized platforms will no longer be required for checking or reporting on a credit status. If all this comes to be, can you imagine how large the market will be? It makes no sense to predict the trend, as you’d be better off becoming part of the trend. Q: What do you think of the increasing ICOs in recent days? A: A big bubble has formed in the ICO market now, similar to what happened to the market in 2013 when the price of a bitcoin dropped from 8,000 yuan to just above 1,000 yuan due to regulatory measures put in place by the Chinese central bank. ICO was called crowdfunding at that time. There were a lot of new projects. Many of them failed and some of the founders subsequently simply disappeared. When you decide to invest in an ICO project, you must be cautious and know the team and project inside out. 8btc launched Bizhongchou, the first ICO platform in China. But we only listed Quantum Chain on our platform this year. We are allow ourselves to become entranced by the bull market. In order to cat responsibly for our investors, we examine and evaluate a project based on the strictest standards, probably the strictest in the industry. Q: What is the story behind 8btc’s Bytom? A: Bytom is a market-driven product. We launched bizhongchou.com because many entrepreneurs succeeded in crowdfunding on the 8btc community platform. As a result, we decided to establish a professional, standardized and streamlined crowdfunding platform to help blockchain startups gather wisdom, raise money and attract talent. Assets on bizhongchou have a strong demand for high liquidity and the blockchain technology by its nature is applicable to register and transfer assets. DCS, an asset on bizhongchou, is registered on Ethereum, but Ethereum is not specifically designed for the transfer of assets such as income rights and equity. For example, it is a tedious process to confirm the dividends earned from income simply through snapshots. Equity and securitized assets have requirements for qualification in terms of the investors and KYC, Ethereum cannot meet the registration requirements for these assets. We decided to start our own blockchain platform. We are the largest blockchain community in China, bringing together many blockchain developers and entrepreneurs, and we can reach out to users and investors directly, giving us a competitive advantage. Q: What is the difference between Bytom and other ICOs? What are its application scenarios? And what is its direct commercial value? A: The leading differentiator with Bytom is that its project team and product orientation did not appear out of thin air. Members of the team are early adopters of blockchain who have been engaged in the sector for many years. Instead of innovation for the sake of innovation, Bytom is designed to solve real commercial needs. We set up a Bytom foundation to help with other public chain projects. The foundation has a three-layer governance structure involving a BTM holder conference, a self-governance committee and a management committee. At the same time, there are many decentralized organizational innovations. For example, the number of BTMs and days on hand are considered as weight factors in the voting rights of holders, avoiding uncertainties akin to “Barbarians at the Gate” which may disturb the normal management and operation of the platform. We hired a professional law firm to design the assets transaction structure and legal risk control system and a third-party auditor to supervise the financial operation. Bytom’s application scenario will be focused on the registration and transfer of assets. Other public chain platforms are like Schweizer Messerthat can be used in many business applications, whereas Bytom is like a hammer that is used for one specific nail – assets, including income rights, equity and securitized assets. The commercial value and advantages of blockchain technology when applied to assets are obvious. For example, Bytom can provide transparent standards and auditing. Smart contracts leave permanent public records on Bytom, eliminating asymmetric information. The records cannot be changed or deleted. Traditional payment means and auditing firms are unable to attain such a high level of trust and security. Traditionally, the issuing of securitized assets must seek the support of a securities firm. These companies can only seek a subscription from an investor after they have signed a fundraising contract with a securities intermediary and complete a cumbersome application procedure. With Bytom, the issuance, registration and transfer of securitized assets may return to the original form. Two persons or institutions will be able to buy or transfer assets through the Bytom wallet at a café. Private companies will be able to use the Bytom platform to manage equities and options. Option maturity plans, equity transfers and agreements can be automatically generated, granted, audited and signed through the smart contract. Shareholders can vote remotely via a signature with their private keys, which greatly reduces equity management and circulation costs. Q: Will blockchain technology change the world in the same what that the internet did? Why? A: Over the past more than half century, almost every decade has seen a wave of paradigm innovations emerging in the technology sector. Large-scale computers in the 1970s, the PC in the 1980s, the internet in the 1990s and the mobile web in the 2000s. What will be the game-changing technology in the 2010s? Some say it’s AI, while others say it’s blockchain. Blockchain is absolutely an epoch-making technology. We see it as dominos in reverse and bitcoin is just the first domino that has stood up. It means we are finally building a bridge between the world of atoms and the world of bits where we can manage competitive resources. In the past, we struggled to prevent resources online from being replicated, or protect data from being tampered with or lost. From processing information to processing value, centralized server to peer-to-peer networks, TCP/IP to a decentralized consensus mechanism, big data and credit checking services dominated by oligopolies to managing our assets and credit by ourselves with a private key, more and more these dominoes will take their place in the blockchain ecosystem. This is not only a technological innovation, but also an innovation in terms of concept and business logic. Q: With the crowdfunding closed, what will the Bytom team do next? After closing the crowdfunding, Bytom will accelerate its team building, product development and enhancement of the governance structure. In the second half of this year, we plan to expand our Bytom team to over 50 staff as well as cultivate blockchain talents and application developers through a unified training program and partnership with leading universities. In terms of development, we will create and introduce a protocol layer, a BUTXO protocol, a consensus algorithm, a contract development framework, a client terminal, an XRelay sidechain and a major network. In the first quarter of 2018, we will hold our first shareholder conference where we will draw up a Bytom management code and elect the self-rule committee. 8btc founder Chang Jia won the Galaxy Award, China’s top literary sci-fi award, for three consecutive years (2006-2008). Since becoming a bitcoin early adopter in 2011, he has been known as a bitcoin evangelist and an idealist. In 2011, he launched 8btc forum, China’s first cryptocurrency and blockchain community, as well as a Chinese news website. He also established crowdfunding platform bizhongchou.com in 2015 and an English news website in 2016. In 2017, he and his team launched 8btc’s first blockchain product Bytom with the aim of connecting the world of atoms with the world of bits.